We’ve decided to post three of our favourite exhibition stand projects. The range of displays shown here perfectly demonstrates what is available from the smaller pop up display stands to extravagant multi levelled and multi room bespoke display stands. If you are a business thinking of contracting an exhibition or tradeshow stand manufacturer then you have come to the right place! 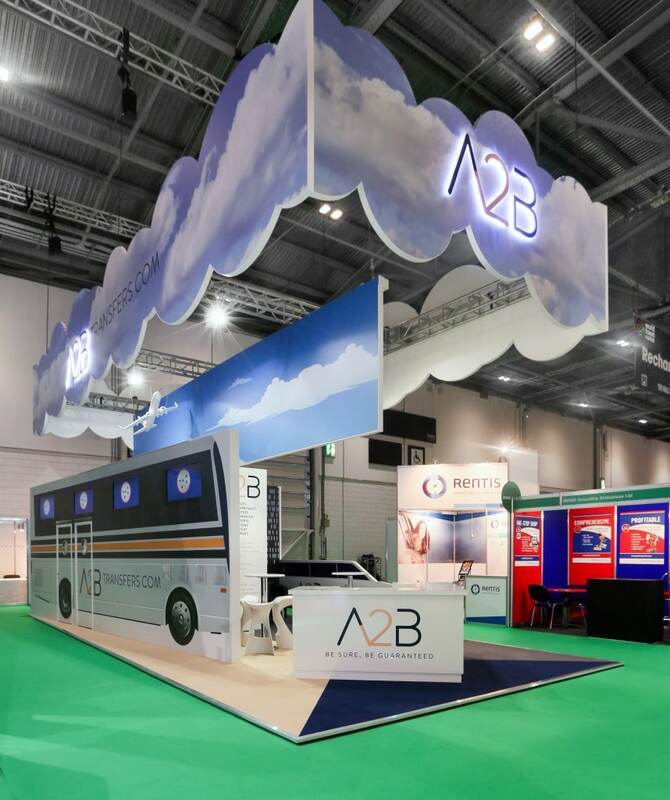 We have our main base in the UK and have a long history of delivering stunning display stand projects for UK, Europe and even Worldwide Trade-shows, Exhibitions, Fairs and Expos. 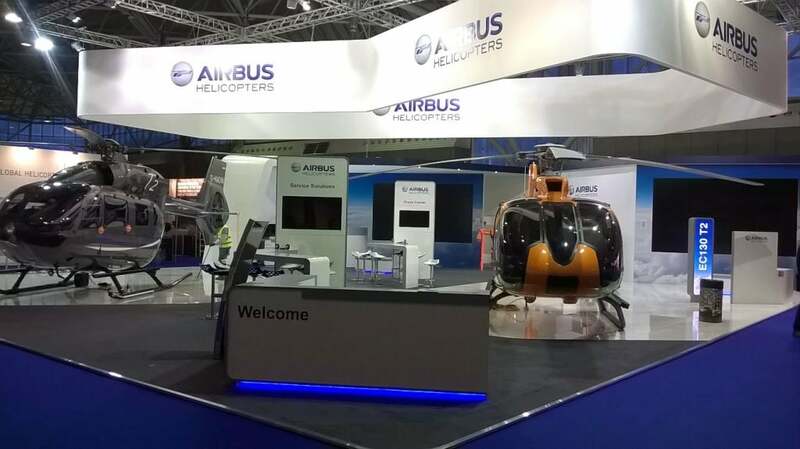 We really enjoyed the challenge of this stand for Airbus – It’s not everyday you get to build an exhibition stand around a couple of stunning helicopters! Our goal was to compliment and show off the product, whilst reflecting the corporate professionalism of a leading aviation brand such as Airbus. We integrated press and customer areas within the display so Airbus specialists were able to best help interested parties. This exhibition stand is a great example of what is possible. 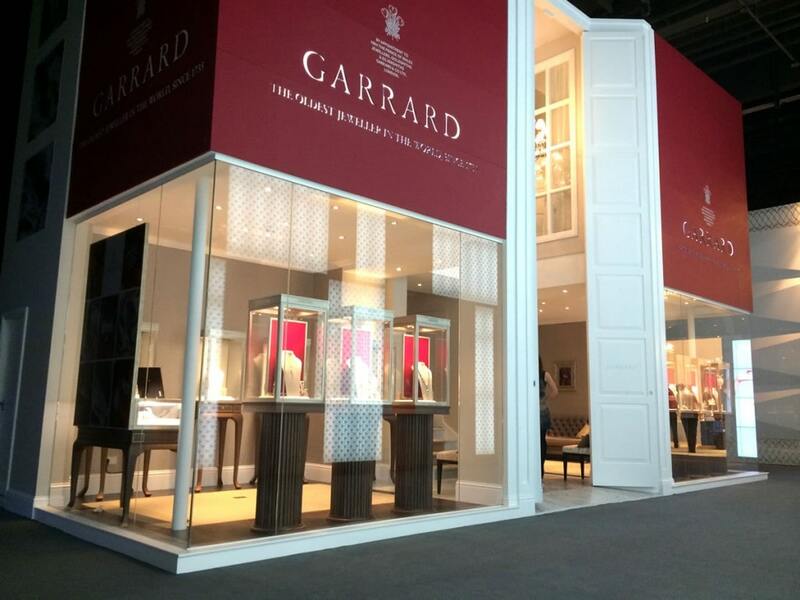 We created a stunning double storey exhibition stand for the 2014 Baselword Watch and Jewellery show for our client Garrard – we were also able to use this as a base for their 2015 display as well! The finished exhibition stand helped create an experience within an experience of the show itself. 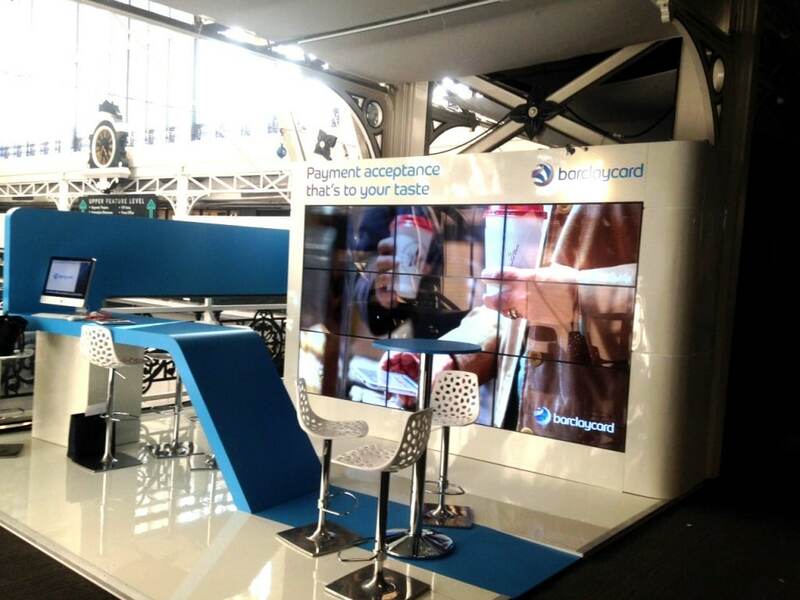 This exhibition stand was built as a temporary pop up display for Barclaycard in Islington. It was a simplistic yet striking design that was completed in the corporate colours of the brand, along with an engaging and visually striking video wall back drop. You can view more of our exhibition stand projects on our portfolio page by clicking here.